I am so thankful for my time at IHOPU. To me, this school is one of the most unique places on earth. By having all its schools centered around a 24/7 prayer room, IHOPU has served as an environment where both my mind and heart can grow. After two and a half years of being a student, I have found that I am not only gaining understanding and knowledge about Scripture, but I am also gaining love for the Man I am studying. Spending time in the prayer room, which is one of our class requirements, has helped me process the information I am learning in class as I turn my studies into conversations with God. This consistent dialogue with God has caused my heart to love Him more. It is a great environment for a Bible student to be in! At Forerunner Music Academy, I have had the privilege of being trained by an array of talented musicians and worship leaders. 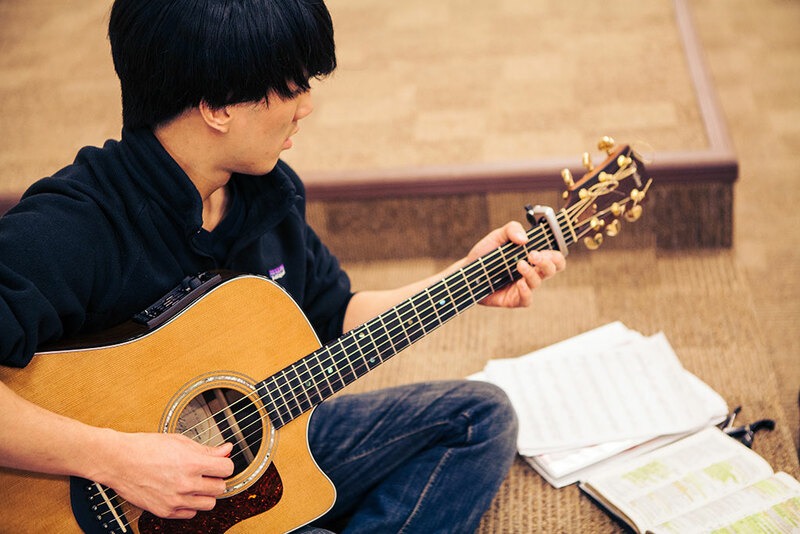 Because the faculty values wholehearted love for Jesus as well as the pursuit of excellence, I have seen my skill as a musician grow exponentially, while I have also grown in my knowledge of the Word. Additionally, I am not only growing in skill on my instruments, but I am also getting trained on how to apply these skills in different worship settings. The instructors at Forerunner Music Academy desire to equip students to serve ministries and houses of prayer worldwide. Therefore, alongside training students on their instruments, they also teach us how to train others. I am confident that when I have finished my study at IHOPU, I will have many valuable tools that I can use to serve other churches and houses of prayer.